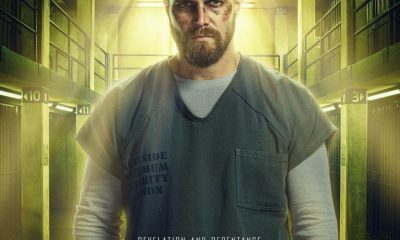 This week’s ARROW, “The Return,” flips the setting a bit, with the present day story taking place on Lian Yu, the island Oliver (Stephen Amell) was once marooned on, and the flashbacks happening in Starling City. 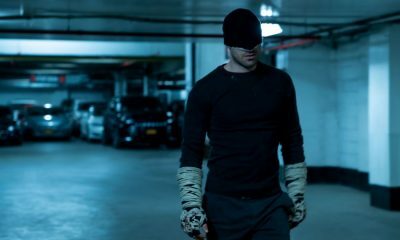 Oliver and Thea (Willa Holland) are training to take on a villain, but they have no choice in their method when Malcolm (John Barrowman) unleashes a former foe on them. Meanwhile, it turns out Oliver did check in on his loved ones during his “dead” period, even if they didn’t know it. Doing “The Return” this way greatly limits the screen time of a couple of the main characters, but almost everyone is worked into the hour in some way or another. Better, a number of long-missing players, such as Robert Queen (Jamey Sheridan), Tommy Merlyn (Colin Donnell), and Detective Lucas Hilton (Roger R. Cross), get a chance to pop up. 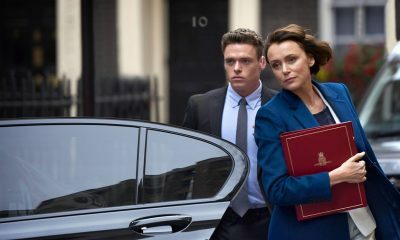 By letting these returning guest stars take screen time away from the main players who logically wouldn’t have a large role in this time and place, “The Return” manages to tell a strong, cohesive story, rather than delivering the flimsy stunt it could have been. Sure, cameos by Felicity (Emily Bett Rickards) and Diggle (David Ramsey) are unnecessary, but they’re small enough not to distract from the main piece, which is a very good installment. The Starling City of the past is one we’re aware of, but there’s a new twist tossed in by Oliver’s presence. 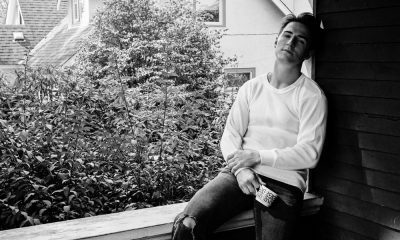 We get to witness, through his eyes, just how bad some of the people in his life were doing, and see how Tommy tries to pull them out. 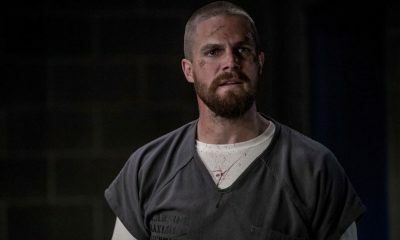 We also get to see Oliver as a murderer again, and while he does so for a noble purpose, it’s more disturbing than I remember it being, highlighting his growth in the present. 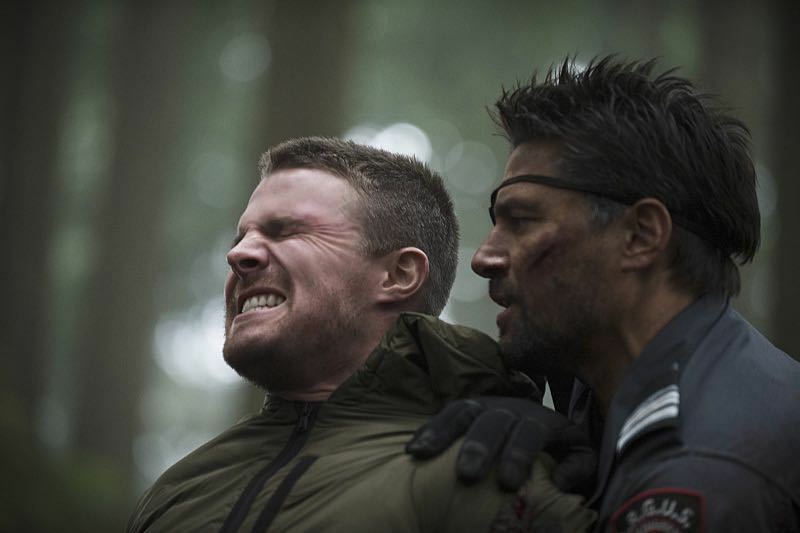 Malcolm wishes Oliver would return to his killing form, which is why he unleashes Slade Wilson (Manu Bennett) on the island. Trapped with Thea to protect, Malcolm believes Oliver will have no choice but to kill his old enemy. Not only does Oliver not give in to the temptation, Thea also passes up the kill shot when she has the chance. Slade doesn’t deserve their mercy, but they are too moral to kill him if they don’t have to, which is a good thing for their journey towards being heroes. Thea faces a major setback when, much to Malcolm’s chagrin, Oliver tells her she is the one that killed Sara. It’s a hard thing for Oliver to say, but Thea knows he’s keeping something from her, and he eventually decides she deserves to know. I get why Oliver makes that decision, because he doesn’t want his sister to distance herself again due to his secrets. But he hasn’t told her everything, including, I’m assuming, murdering her drug dealer, as we see him do in the flashbacks of “The Return.” Secrets have always been a sticking point between the siblings, and even as Oliver makes progress in being open with her, his growth isn’t complete. It is really nice to see Thea and Oliver together, though. Whatever obstacles lie ahead, they get this time to be brother and sister, working together. Malcolm does many bad things, but helping Thea get to a place where she can be on Oliver’s level is not completely one of them, his methods of doing so aside. 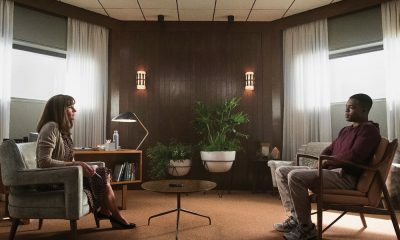 Thea justifiably hates Malcolm now, telling him he will never be her father, but that doesn’t erase what he did for her. Are Oliver, Thea, and Malcolm ready to face Ra’s al Ghul yet? I don’t know. Oliver and Thea manage to take down Slade, but it’s quite a struggle for them to do so. Ra’s is arguably harder to beat than Slade, but they will have Malcolm helping, too. 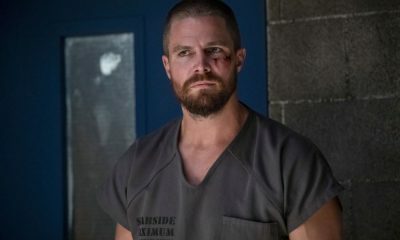 I kind of wish Oliver would ask Team Arrow for help, which would not only give him a better shot at winning, but show how he is developing into a team player, moving further and further away from the lone wolf he begins Arrow as. The other subplot in “The Return” finds Quentin (Paul Blackthorne) mourning Sara’s death and considering drinking. Laurel (Katie Cassidy) tries to help her dad, but now that the news has set in, he has found anger at Laurel for keeping Sara’s death a secret. Worse, he feels betrayed by the daughter he has always shared a bond with. Their relationship needs much work, and even if most viewers saw it coming, it’s no less painful. “The Return” is one of my favorite episodes of the season so far, and that’s saying something since ARROW is having a stellar year. The character development is strong and story is surprising. The producers have promised season three will only get crazier from here, and I can’t wait.